Please join us for regular inspirational and social activities listed below. Click Here for our annual calendar of events. 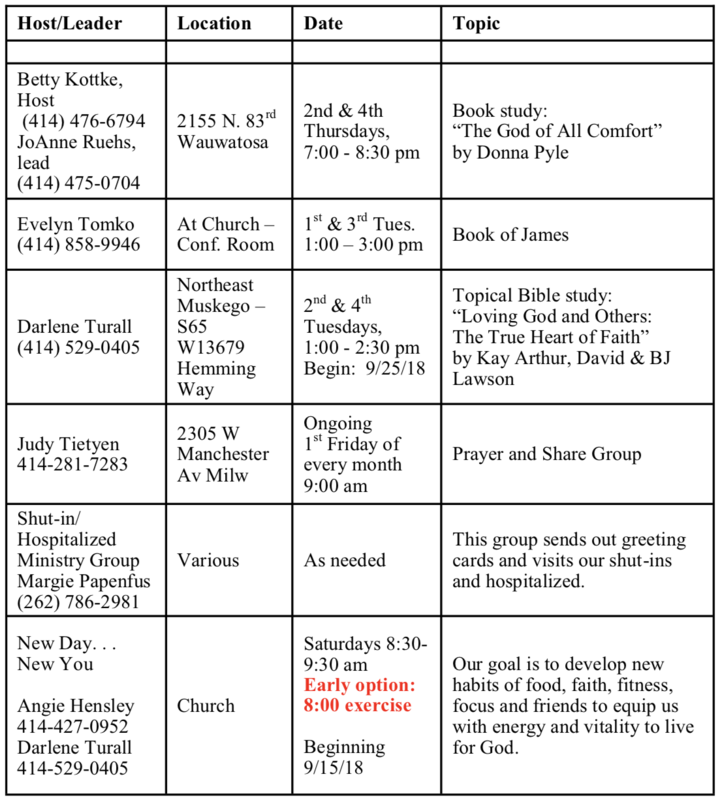 The Women's Ministry team has a number of activities scheduled for the 1028-2019 year! Click here so see what's planned. Click here for complete details and registration form. There are 5 small groups meeting at various times throughout the week. Click here to see the schedule. To join a Small Group at any time, please call the leader or host. Many of us want to lose weight, have more energy, be more fit and live a longer healthier life. We meet on Saturday mornings from 8:00-9:00 to encourage and support one another toward that goal. Our guide is The Daniel Plan, which provides the 5 Essentials for success. We encourage and support each other with tips and prayer as we care for our bodies. “Don’t you know that you yourselves are God’s temple and that God’s Spirit lives in you.” I Cor. 3:16 For more information about the group, please Contact Us!